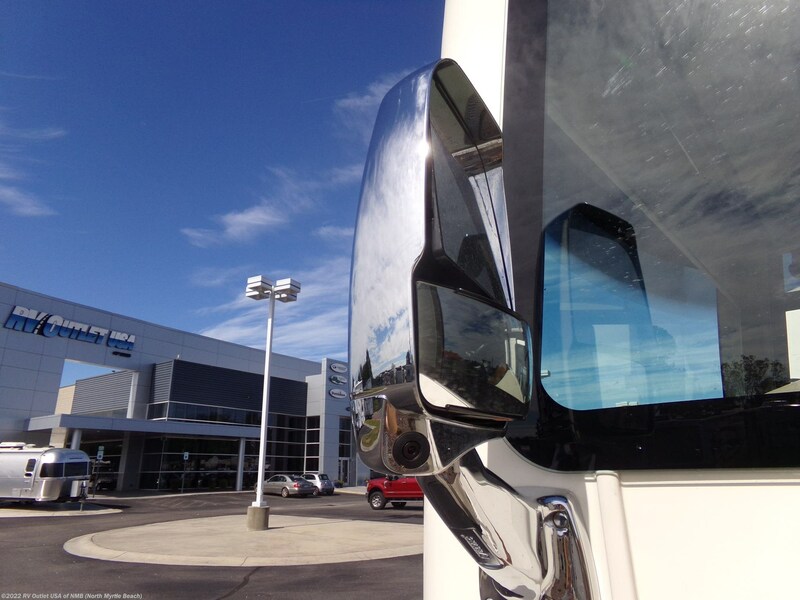 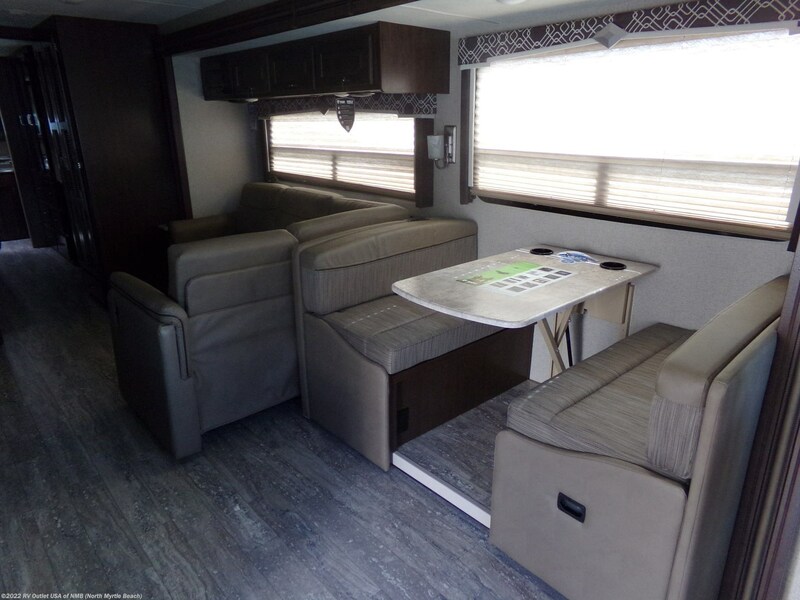 2019 THOR MOTOR COACH HURRICANE 35M CLASS-A! 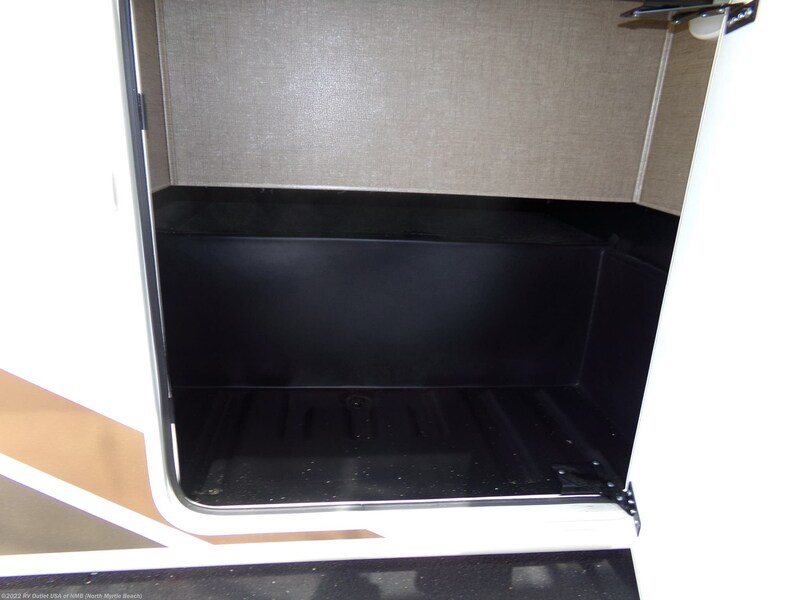 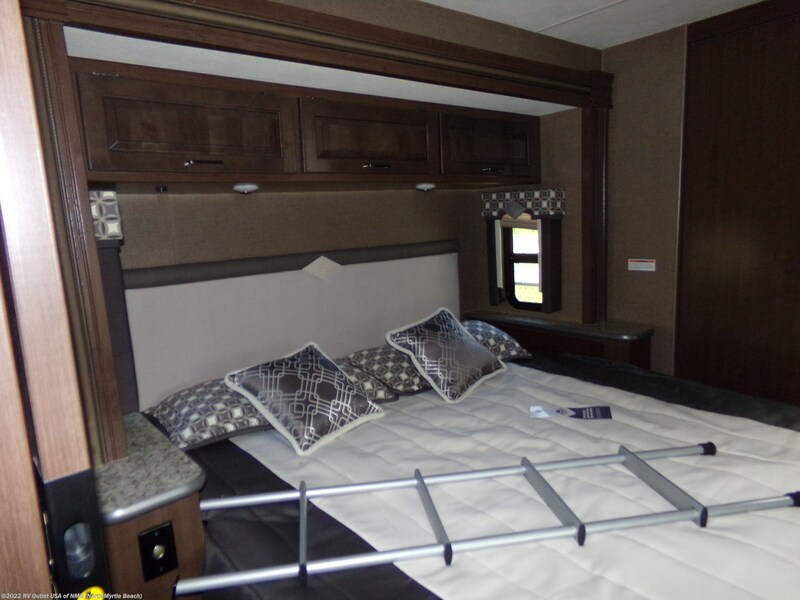 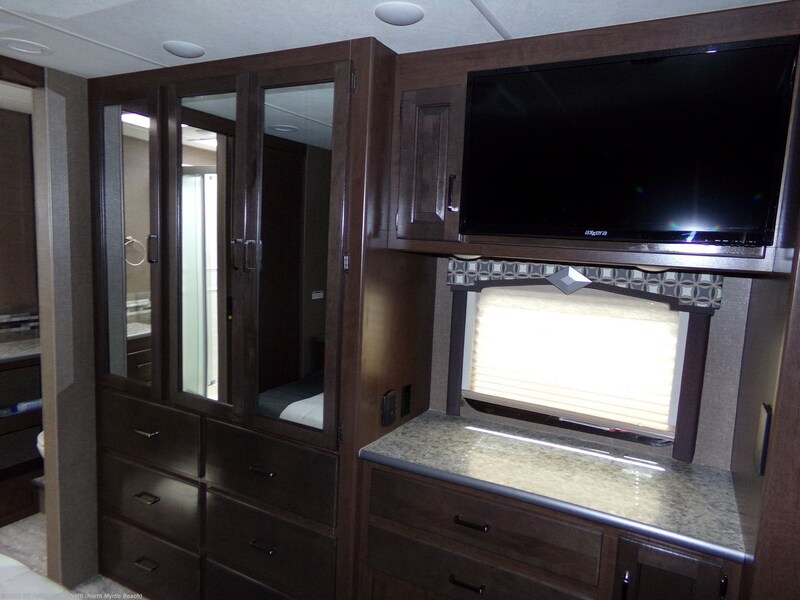 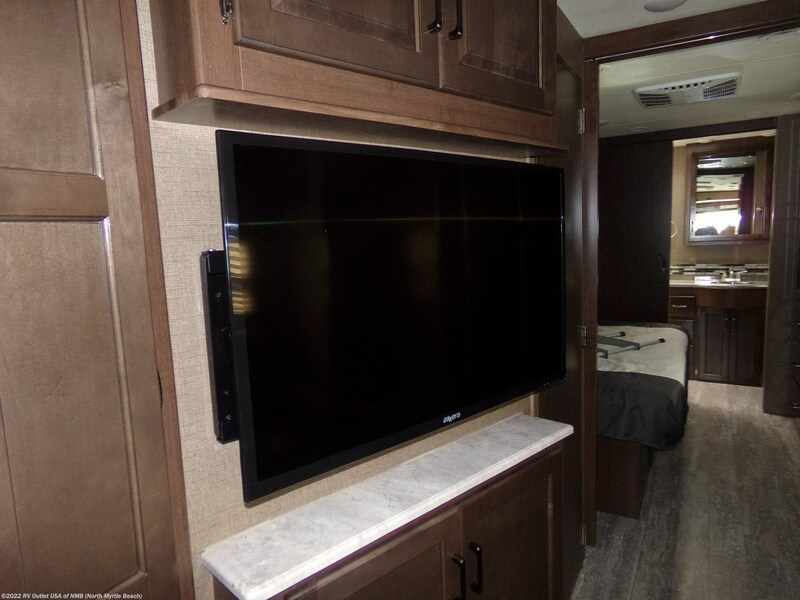 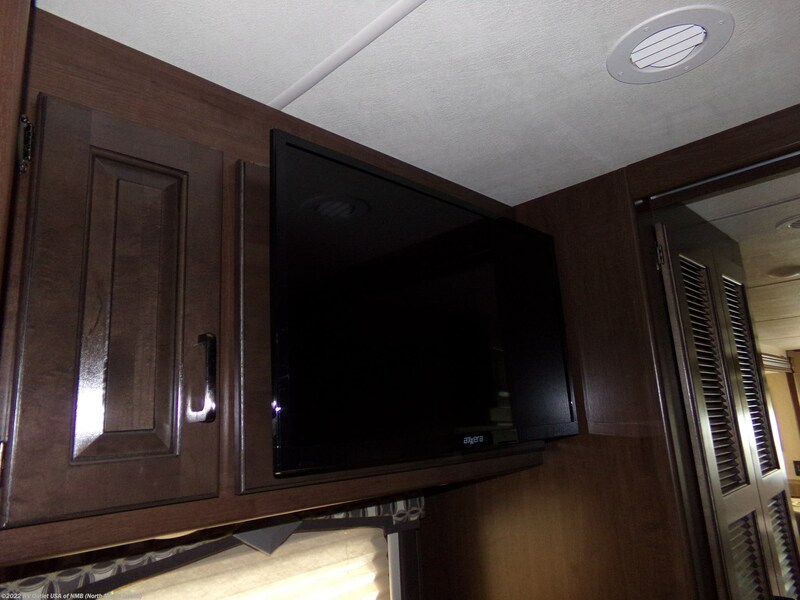 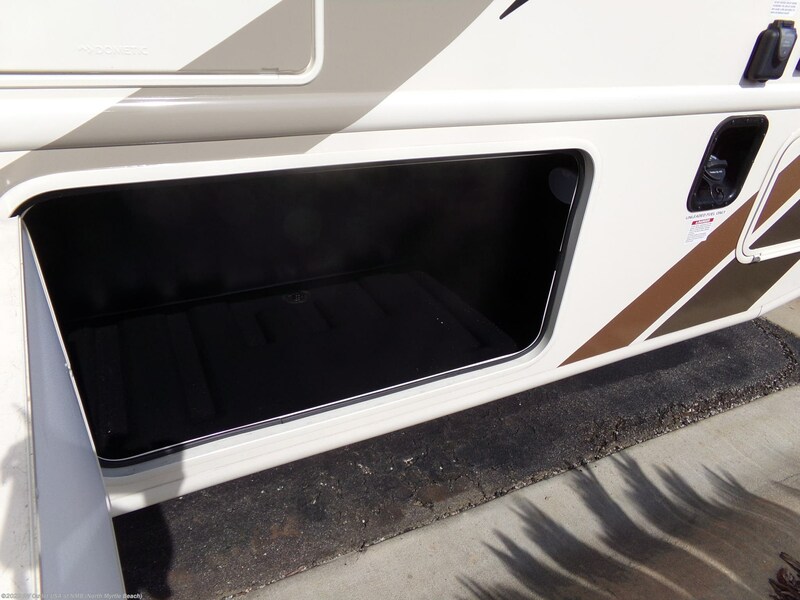 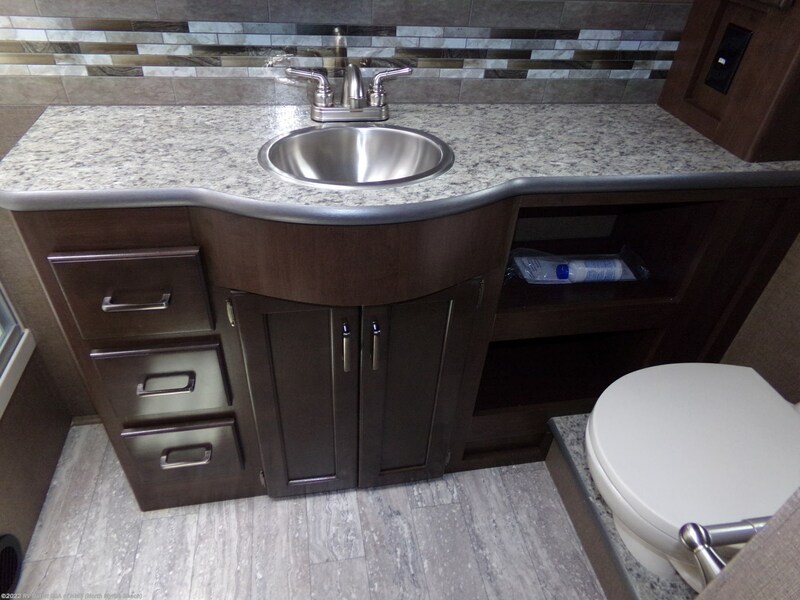 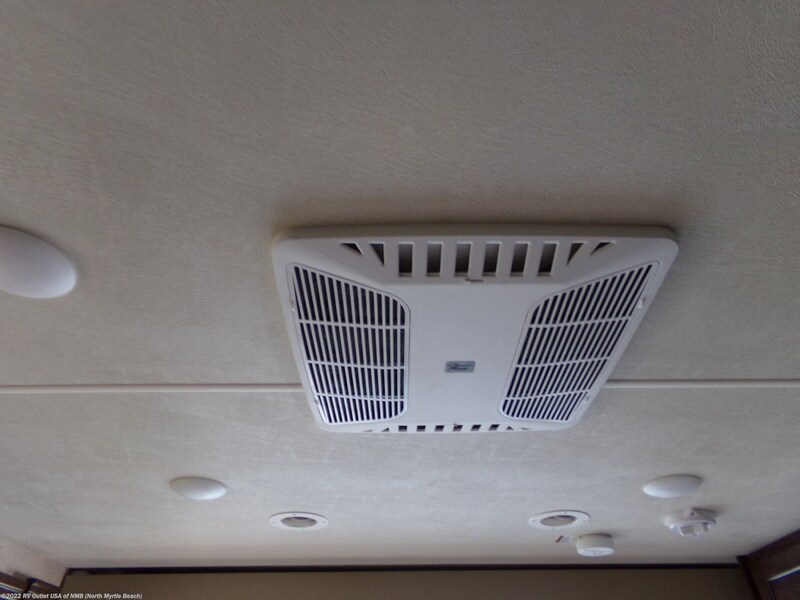 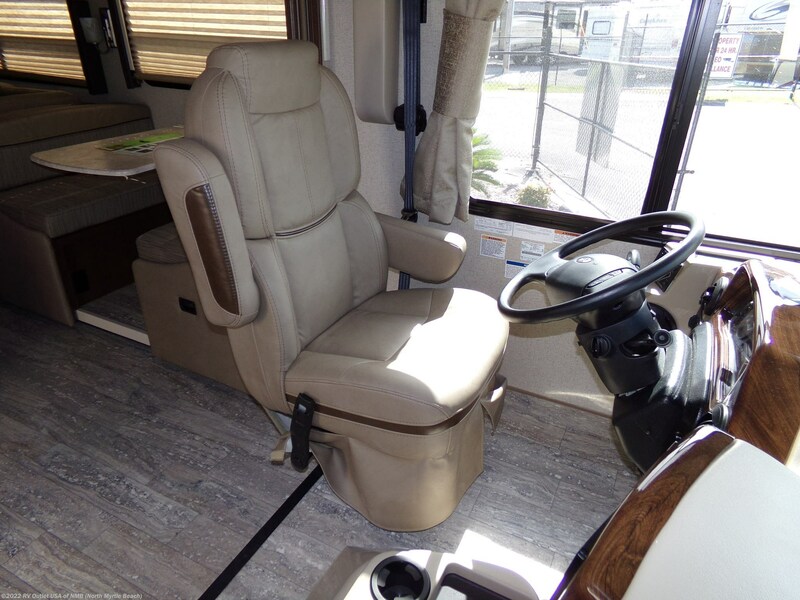 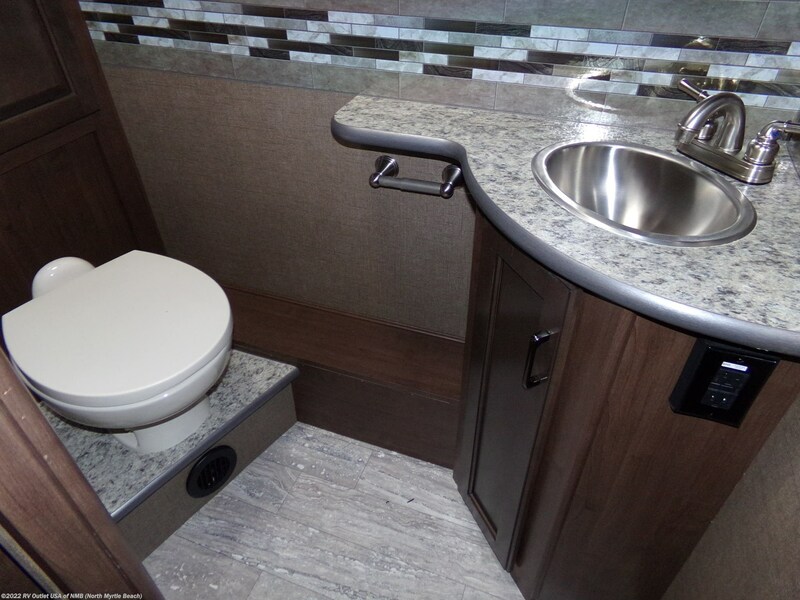 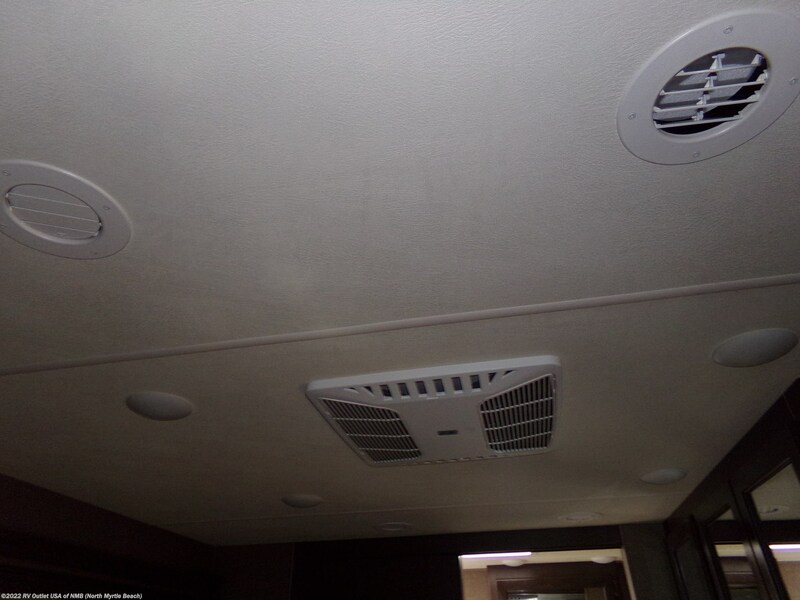 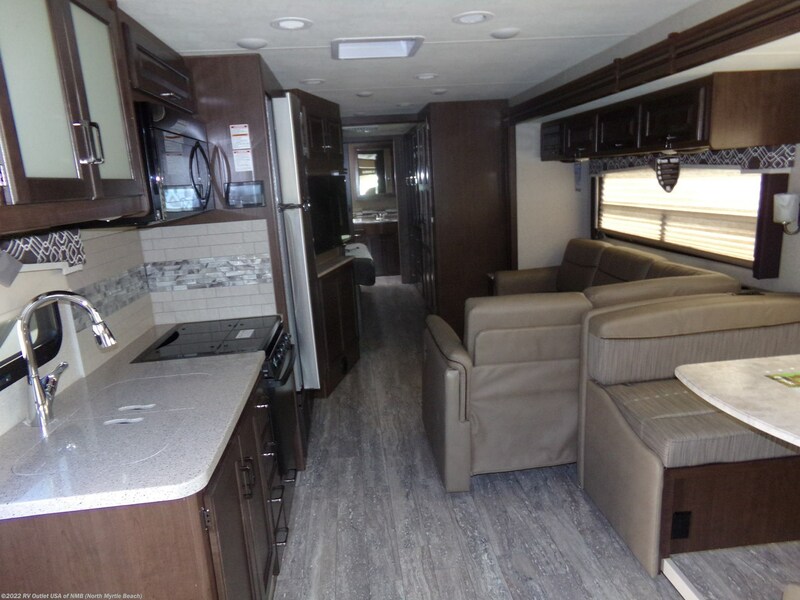 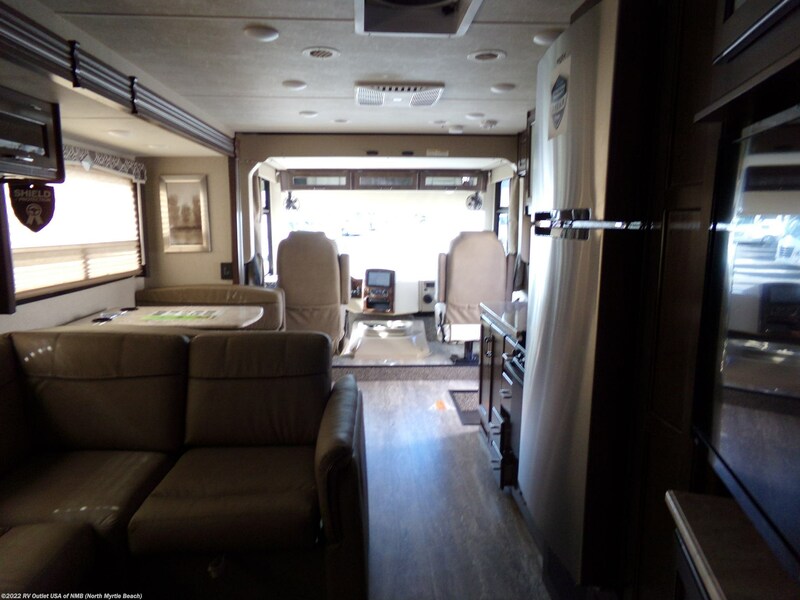 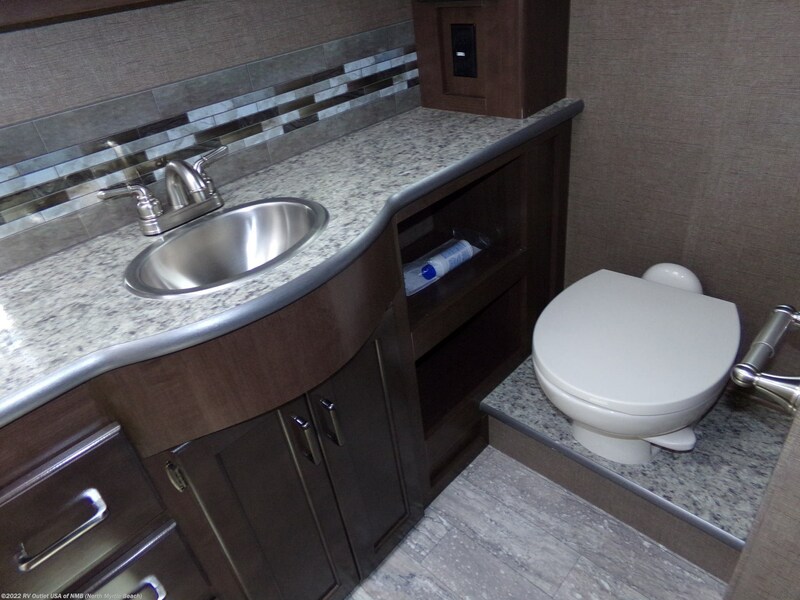 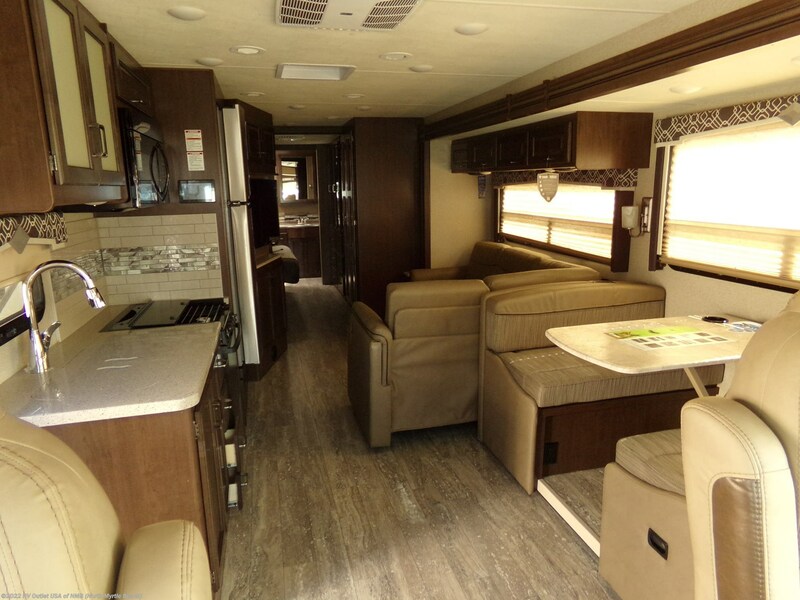 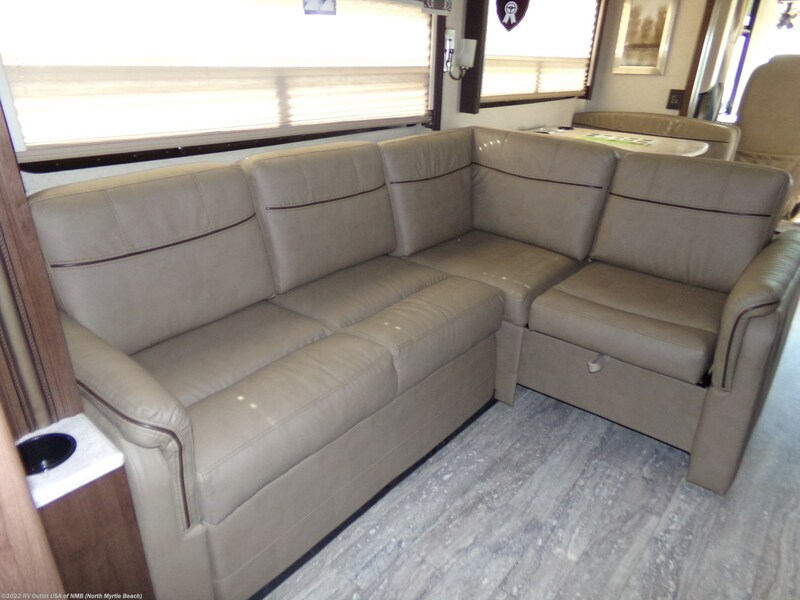 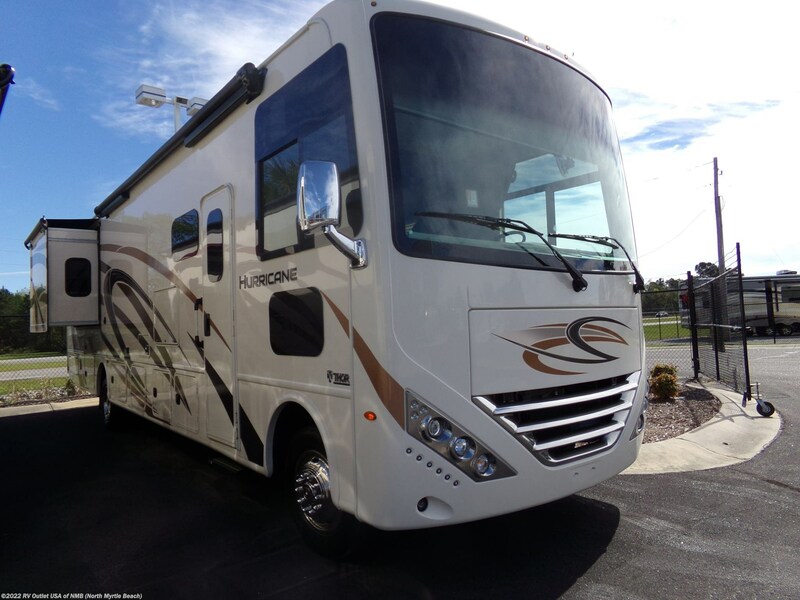 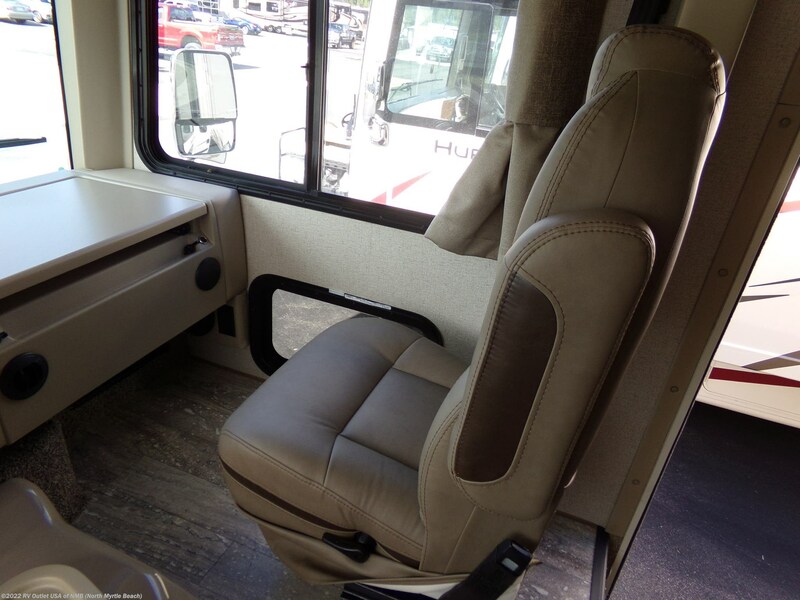 Here's a super nice class a motor home floor plan from Thor Motor Coach. 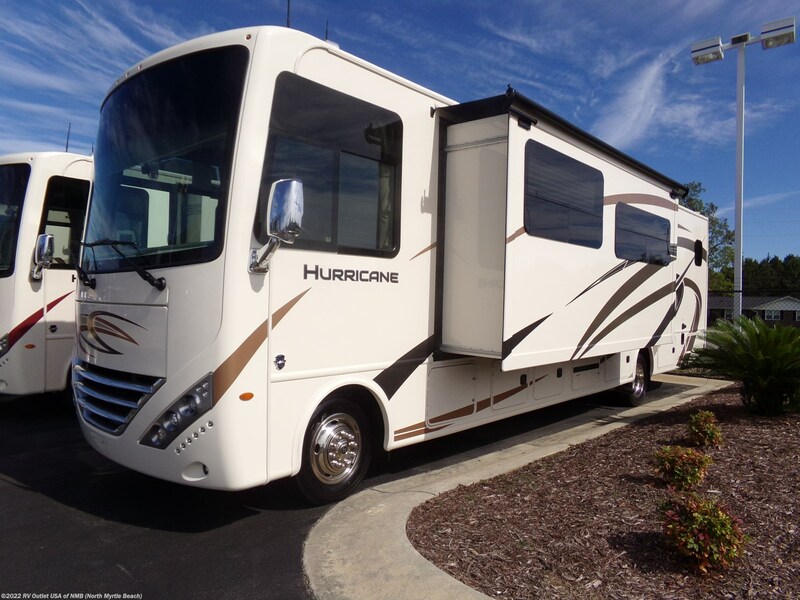 Introducing the brand-new 2019 hurricane 35M. 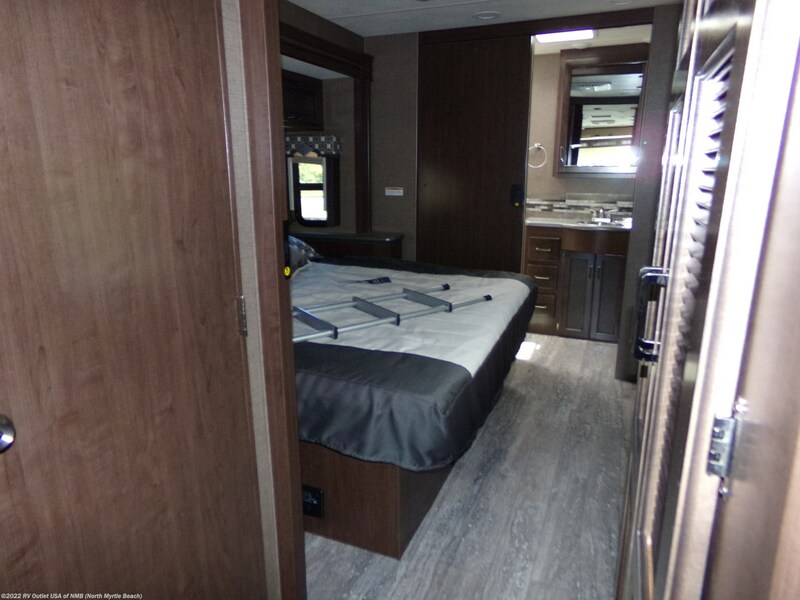 This coach is 37' long, it's on a Ford F-53 super duty chassis with a Triton V10 engine with 320HP, it has two slides, a bath and 1/2, will sleep up to (8) people and is loaded with features! 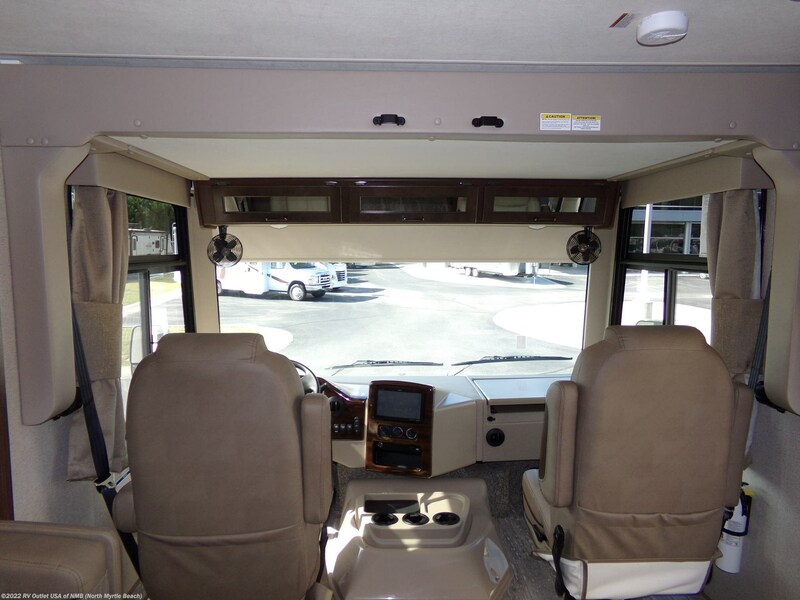 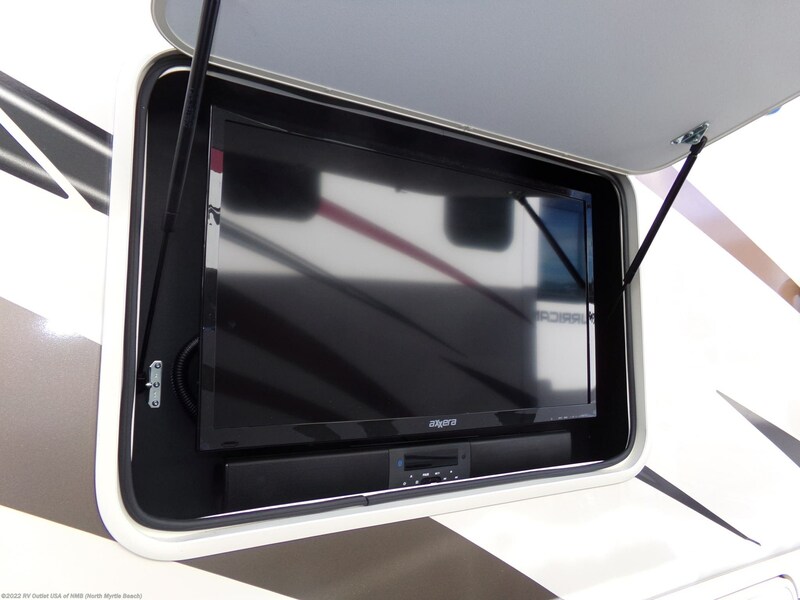 This coach has a full cockpit with a power driver seat, a removable table, full instrumentation, a backup camera, an automatic leveling system, and the drop-down overhead bunk. 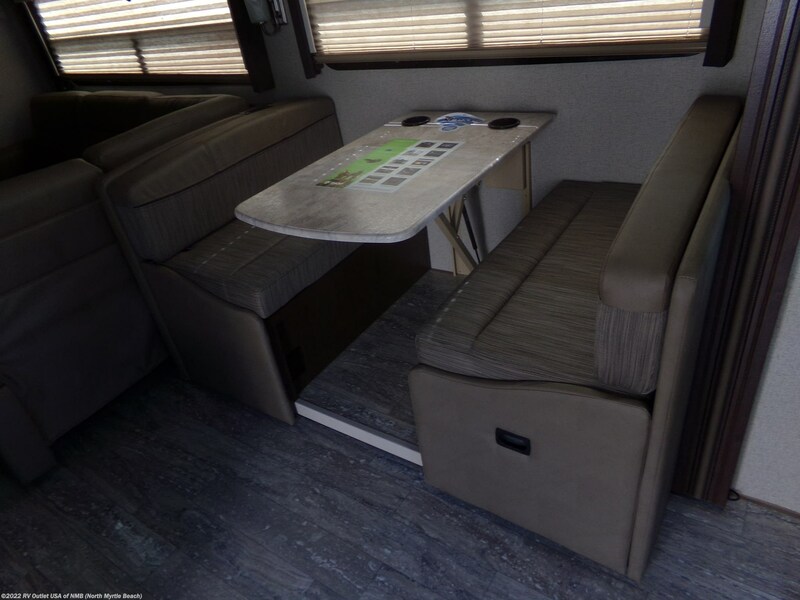 As you walk in the door on the off door side is a super slide with a booth "Dream" dinette towards the front and a super cool expanding sofa towards the rear of the slide. 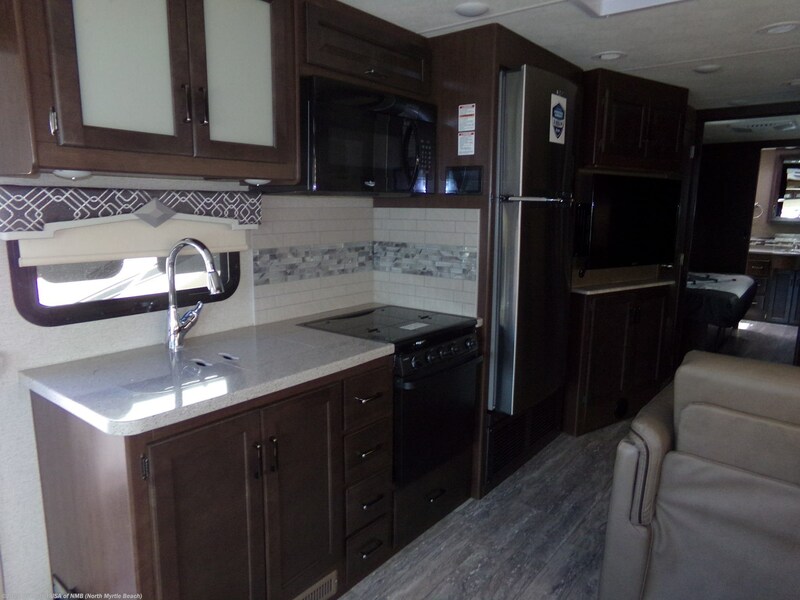 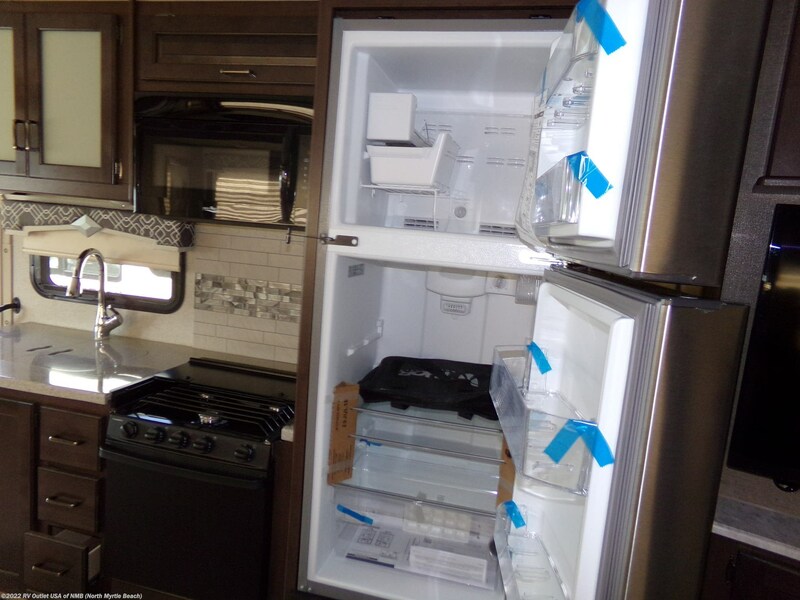 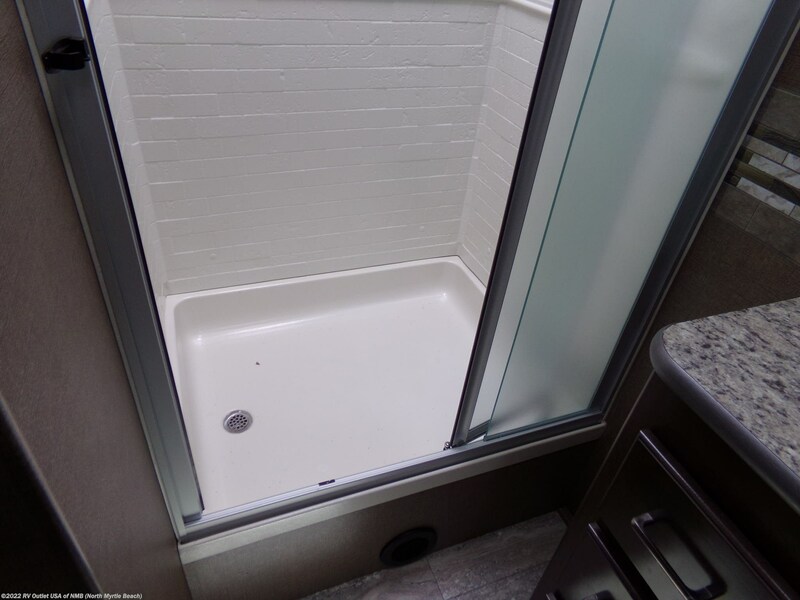 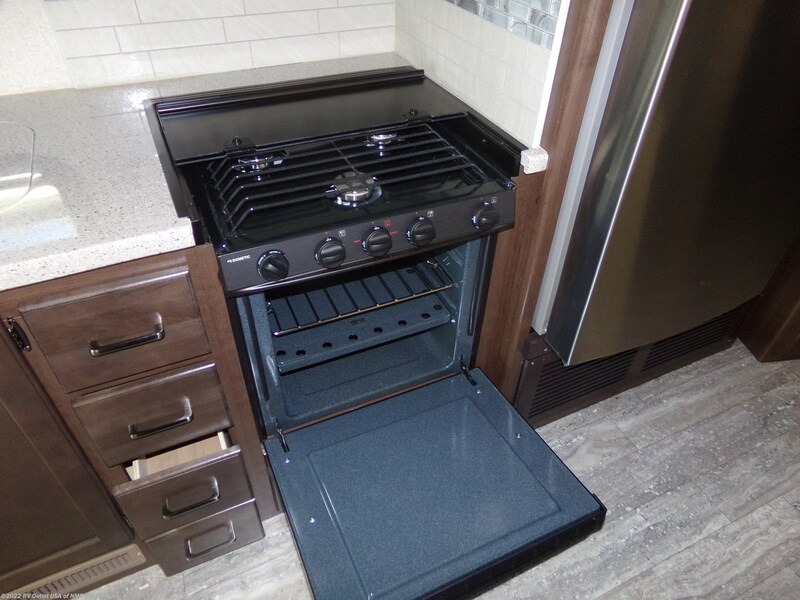 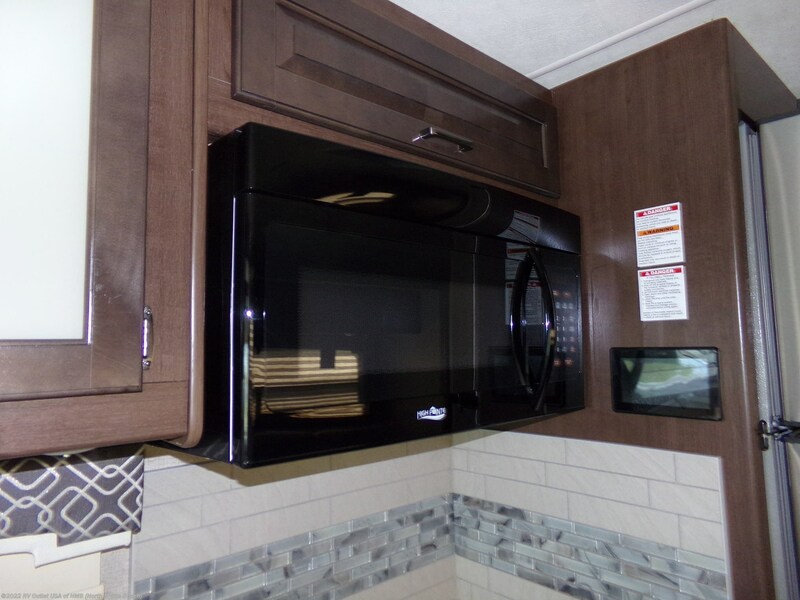 Across from the slide is a full galley (kitchen) with a (3) burner stove top, an oven, solid surface counter tops, overhead cabinetry, a double stainless steel sink, a residential style refrigerator with built in ice maker, and a large pantry for food storage. 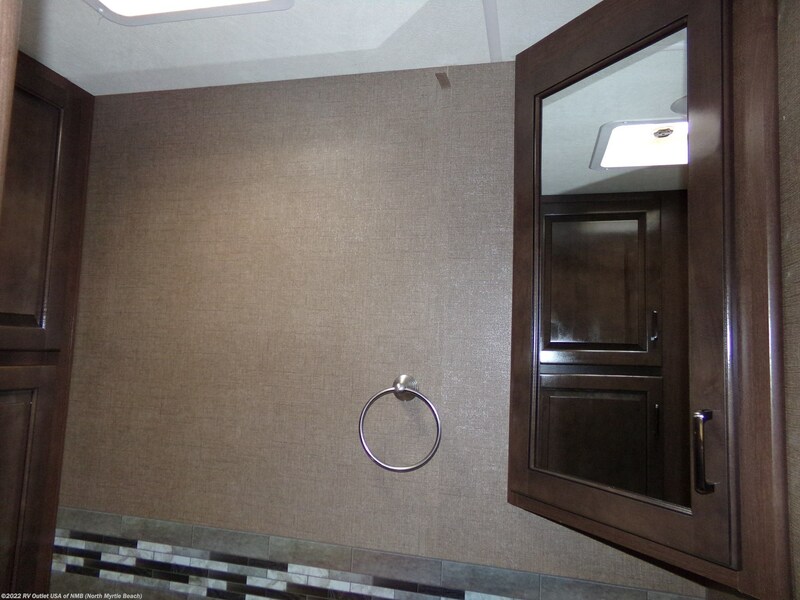 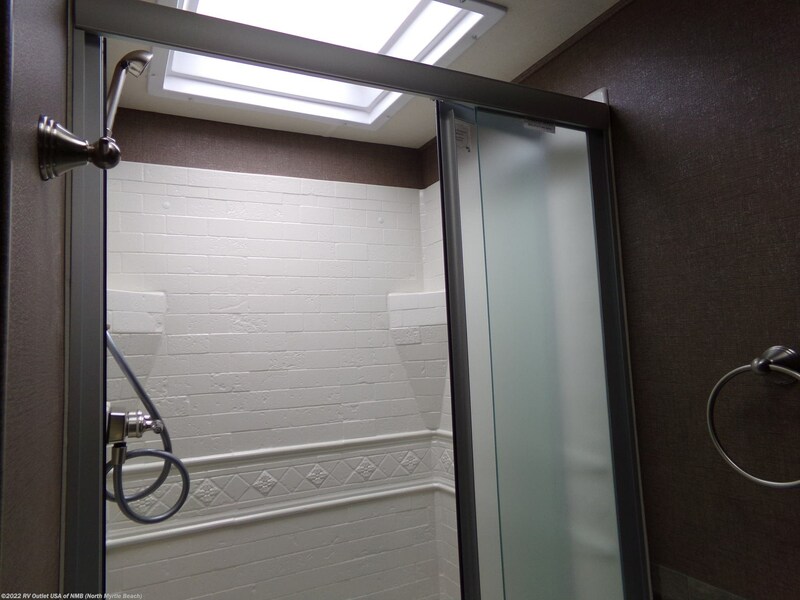 This coach also has a bath and 1/2 with the 1/2 bathroom in the living area for your guest to use. 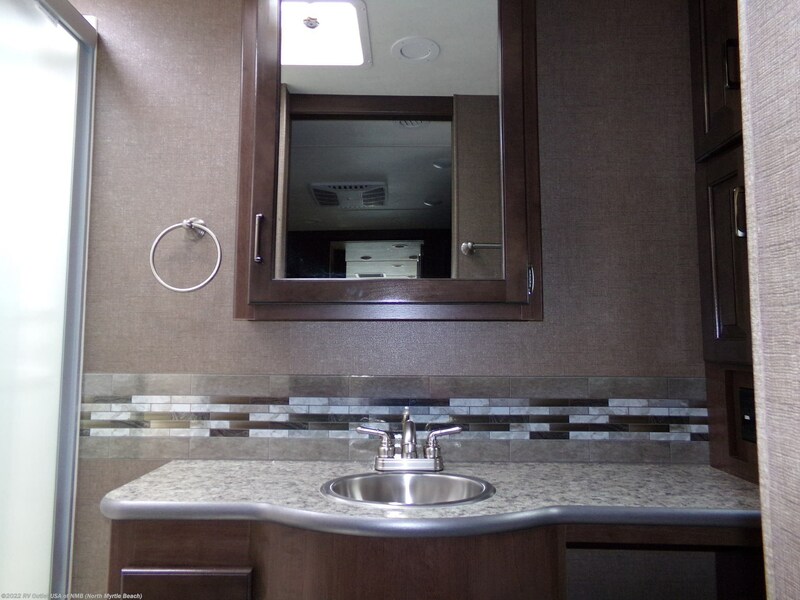 On the bathroom outside wall is a 40" LCD TV. 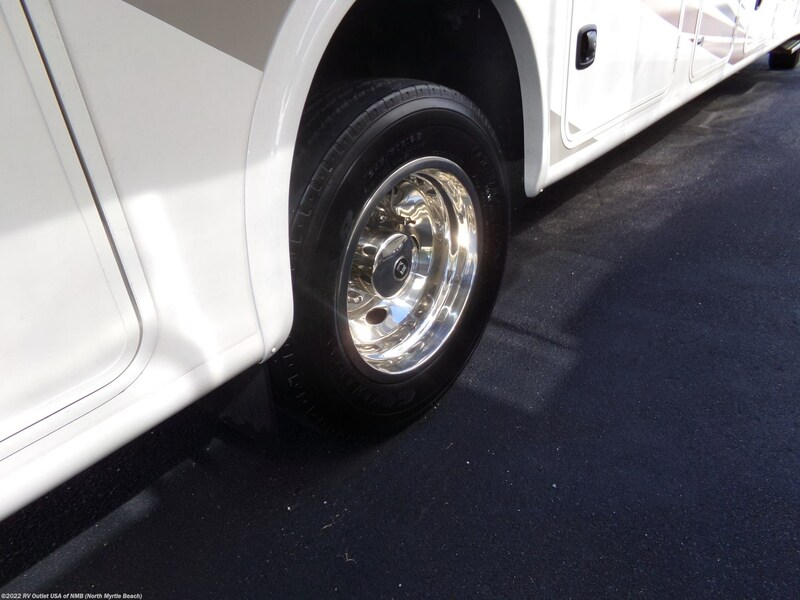 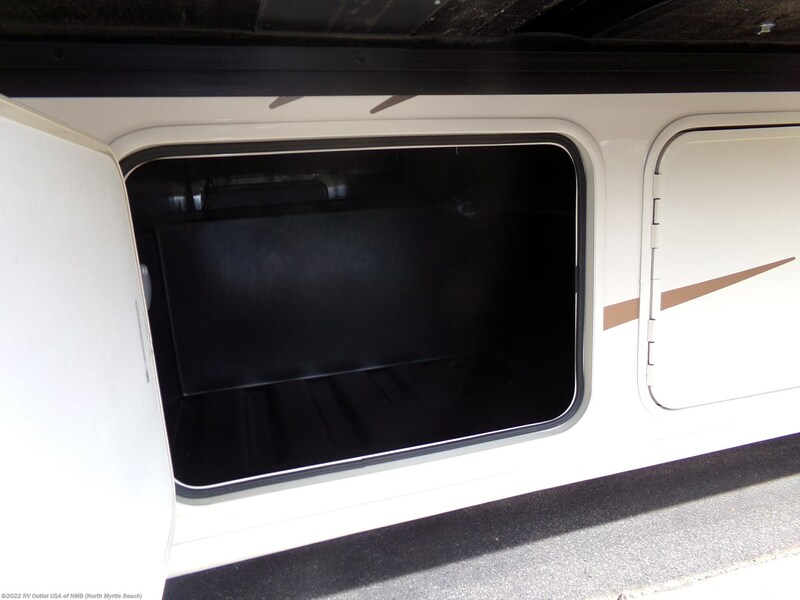 Walking to the rear of the coach, you'll find a large closet that's been prepped for a washer and dryer, and it has a king bed slide on the door side which gives you a huge wardrobe at the foot of the bed with a 32" LED TV. 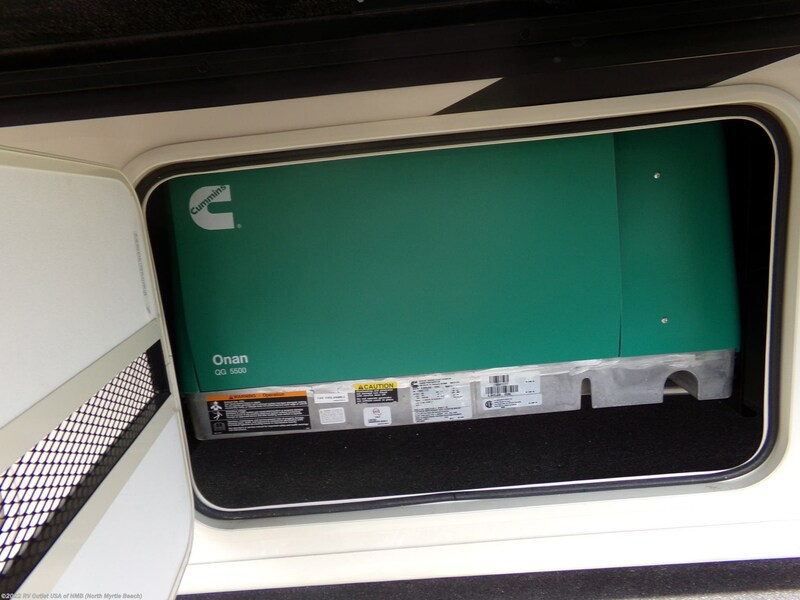 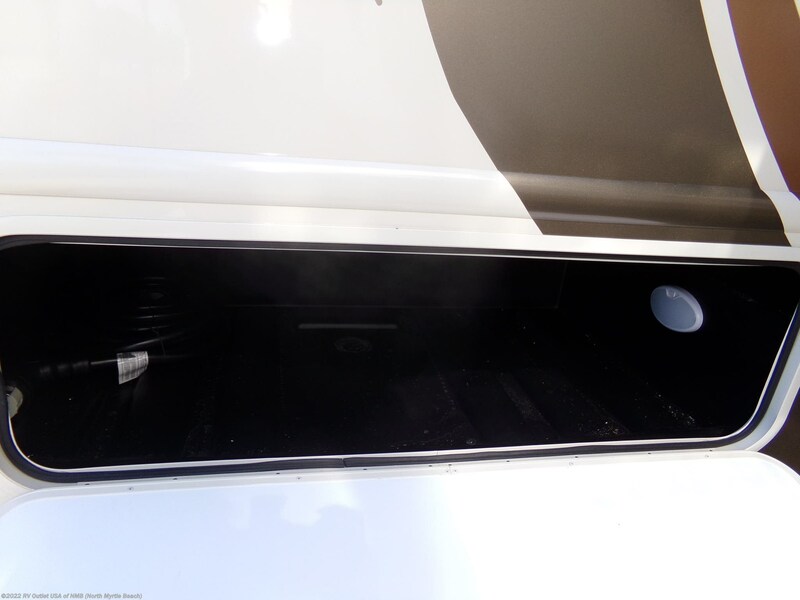 This coach has the an Onan 5500 generator, it's been prepped for washer and dryer, it has plenty of storage underneath. 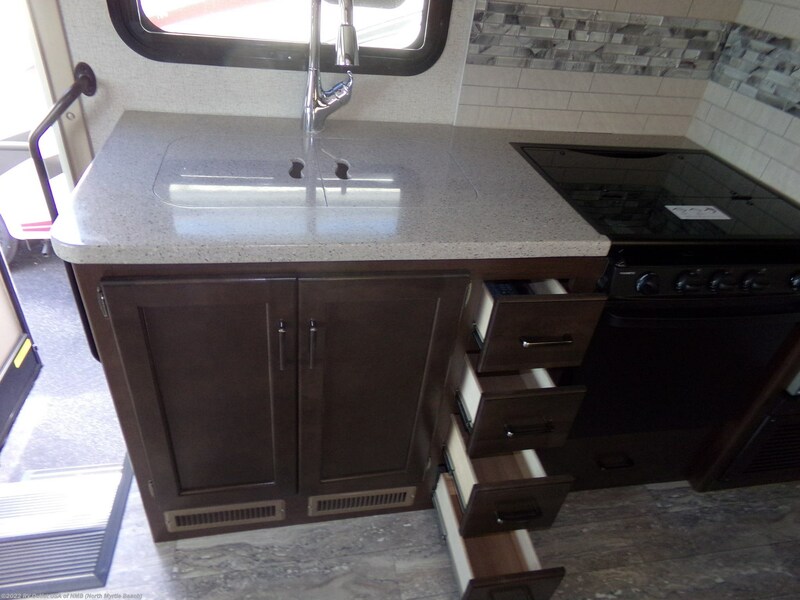 It's a great floor plan with a lot of very nice options here's a list. 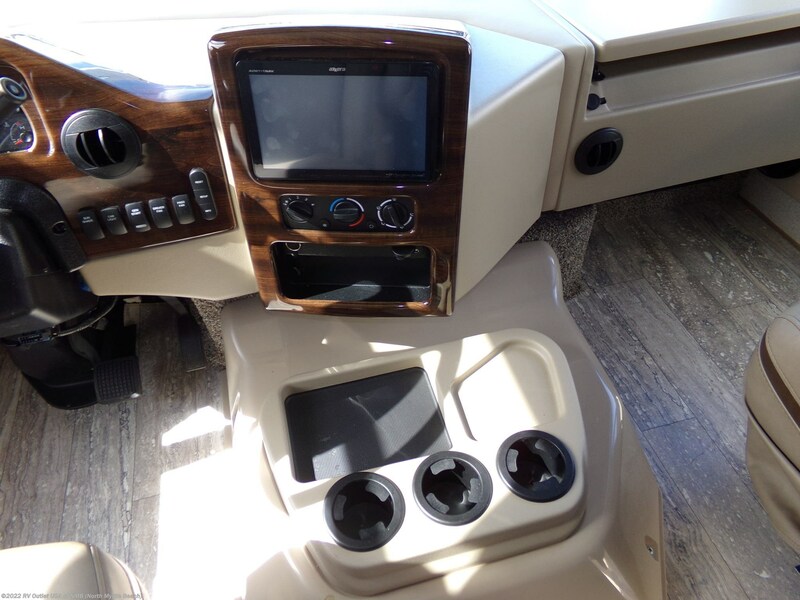 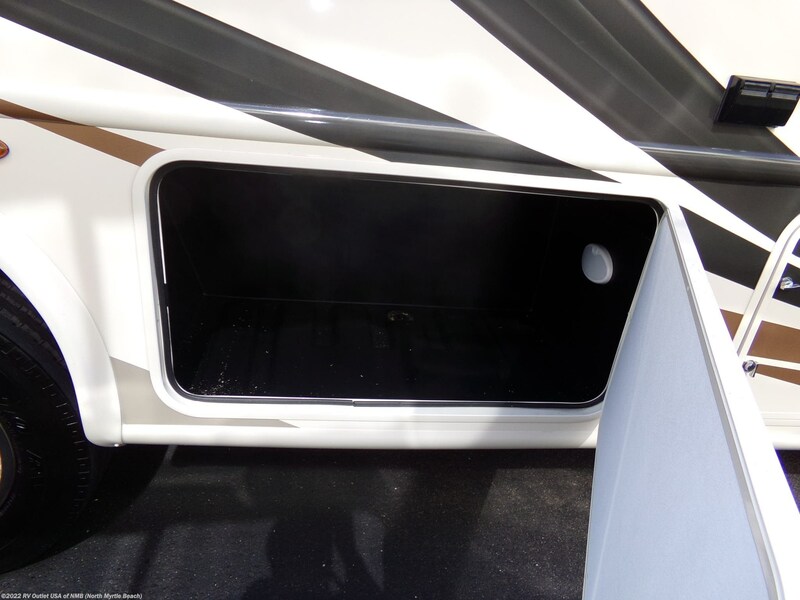 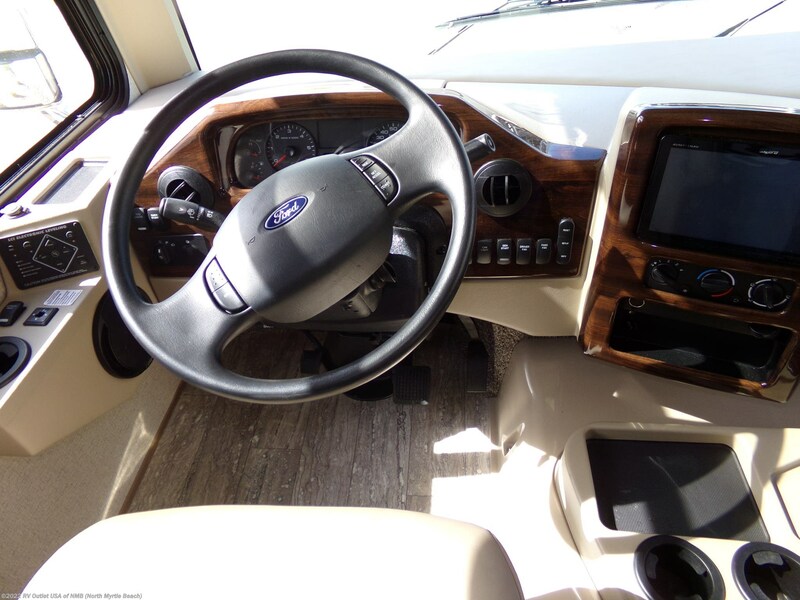 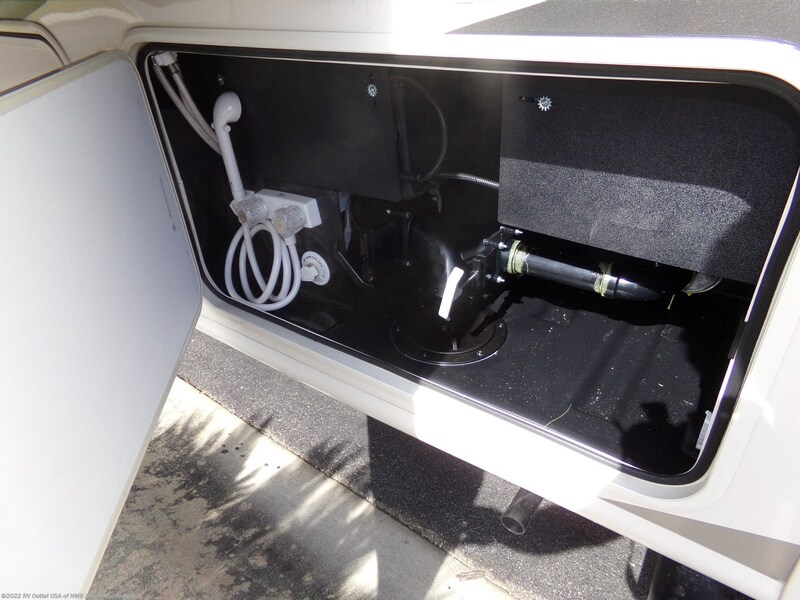 The interior color is the new sterling mist, it has the beautiful Malibu Maple cabinets, a 12V attic fan in the kitchen, and the power driver seat. 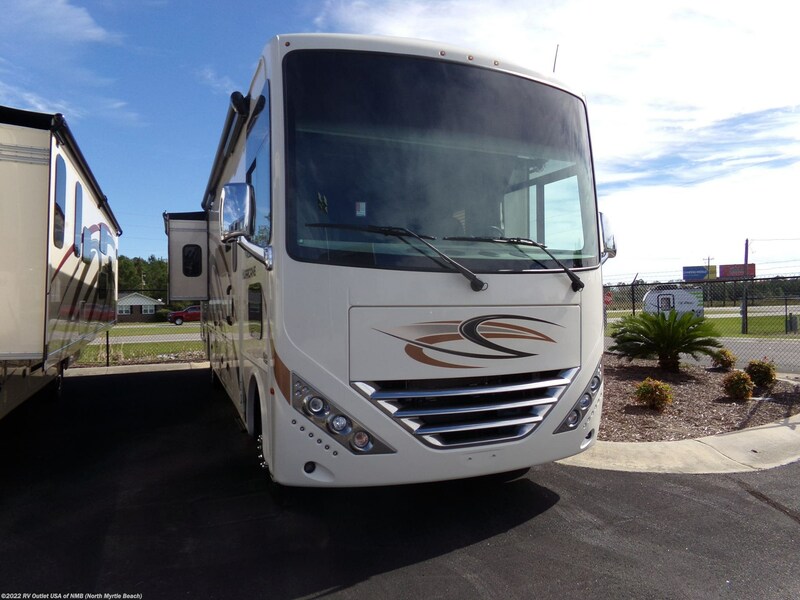 If you have any questions, please give us a call at 843-756-2222 and ask for sales. 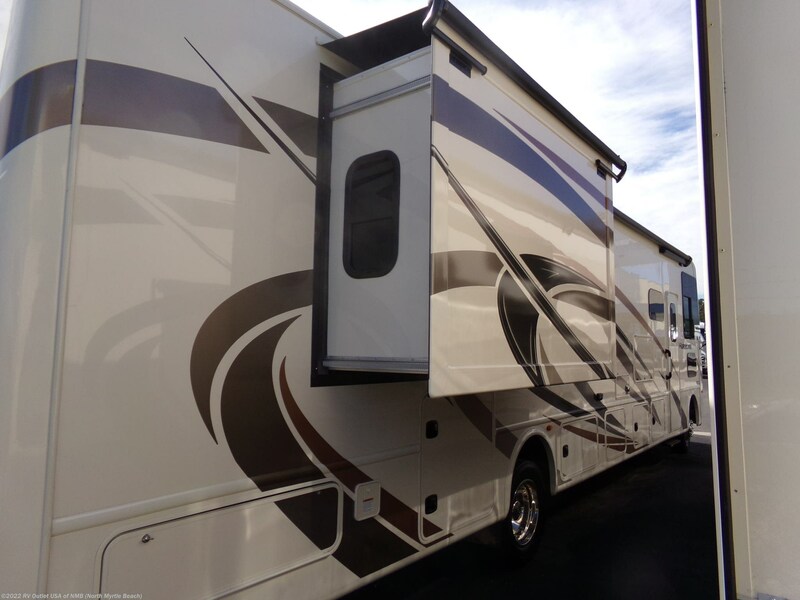 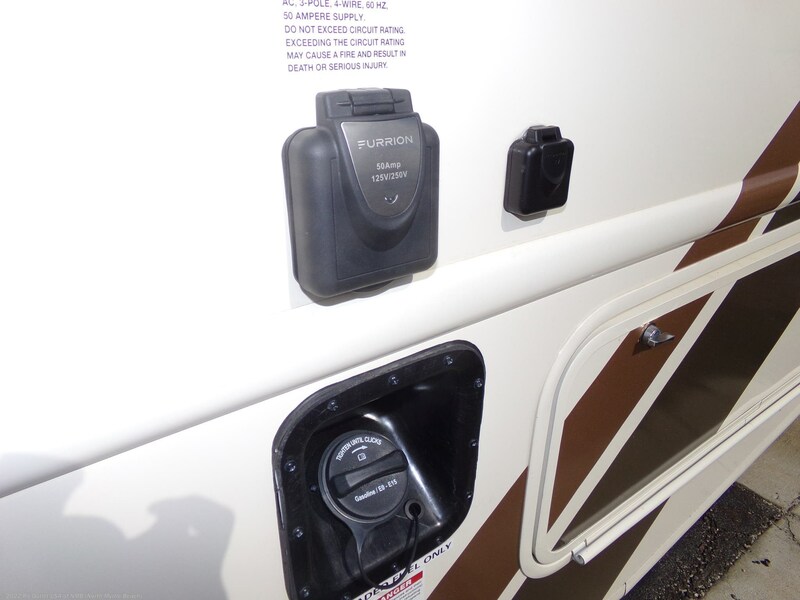 You can also visit our website at www.rv007.com and you can email us at rvoutletusa@yahoo.com. 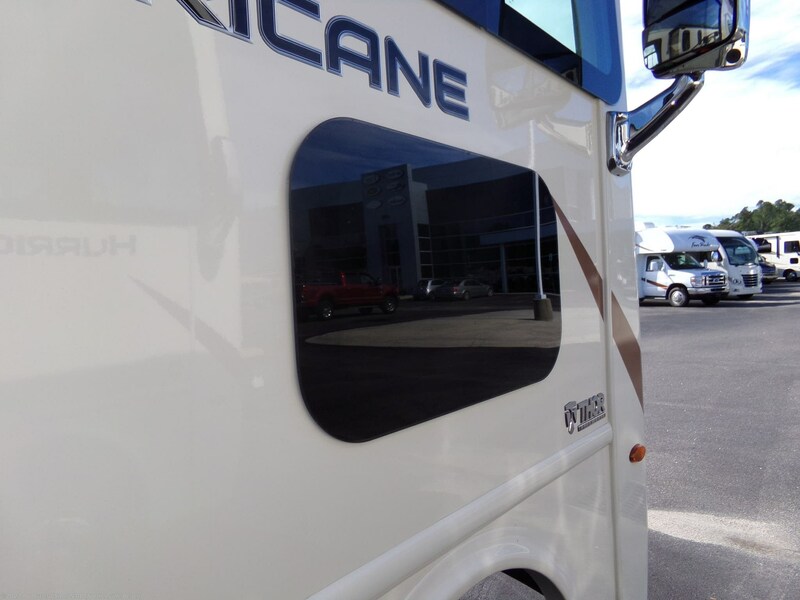 Please keep in mind we have no no doc or prep fees and we always offer our customers huge discounts on parts and accessories.